Last Monday was National Pig Day. Seriously! Go look it up. I’m not anywhere near creative enough to make up a holiday like that. . . 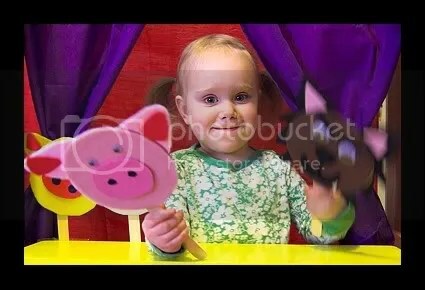 Puff n’ I had loads of fun learning all about pigs, and doing piggy arts n’ crafts, reading piggy books, putting on piggy plays, dressing as pigs, and even watching piggy tv! Try not to be jealous of T’s awesome pig costume (I know its hard). You can make your own with a little bit of felt, an egg carton, glue, a pipe-cleaner, a headband, some pink paint, and a string! Super-easy! We watched Charlotte’s Web – the awesome original cartoon version, made before either of us was born. Puff loved it! 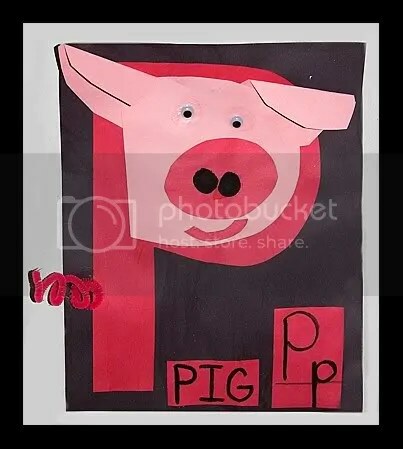 We learned that the letter P is for Pig – always good to reinforce those letters! The cool part about this little piggy is that originally, T picked out the biggest googly eyes we had. 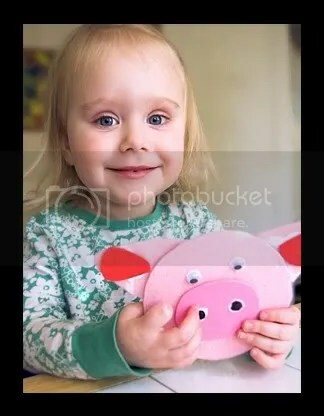 After learning more about pigs, and seeing lots of pictures of real pigs, she asked to change the eyes to the smallest ones, “Because pigs have tiny eyes, silly!” My girl pays attention! We learned about the number 3, and told the story of the 3 little pigs about a million times. We even made our own puppets to narrate the tale! The best part of the day was putting on our own after-naptime play. . .
Baby A gave Puff’s rendition a standing ovation – then she got back there and gave us her own version of the tale! Puff practiced huffing and puffing, but thank goodness the secret of blowing houses down lies in being a wolf, or we’d all be pretty sad! Sniff, Charlott’e Web makes me cry! What a funny thing, you celebrated Pig Day! 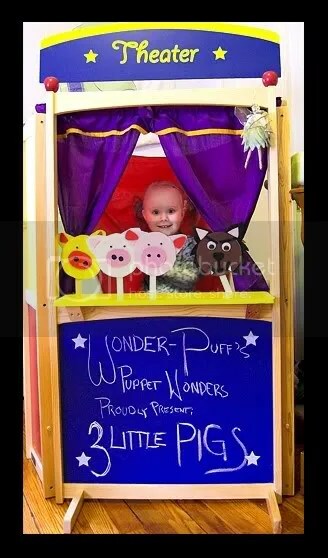 Love the pics of the Puff, especially the one where she’s holding the puppet she just made. What a sweet demeanor she has. Okay, here’s the question, what did Chesh look like in her costume? I want to see Puff’s mother in a piggy get up! Hooray for Pig day!!! I love her costume and her puppets. So cute! 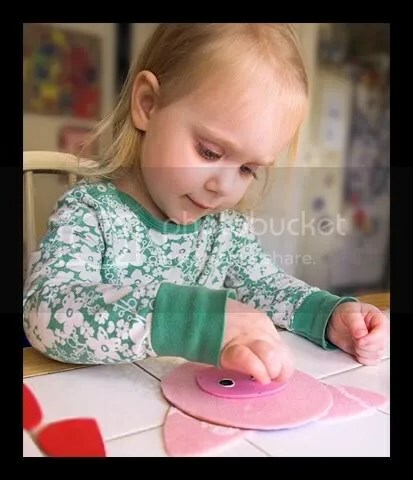 Very, very cute! I had no idea about National Pig Day! So cute! What a fun idea…where do you find all these cool days at? I dunno. . . Google it! Every month has tons of ridiculous special days. There are SO many that you’d never be able to actually celebrate them all! But it sure is fun to try – March is also National Craft Month – three cheers for that! Very cute! 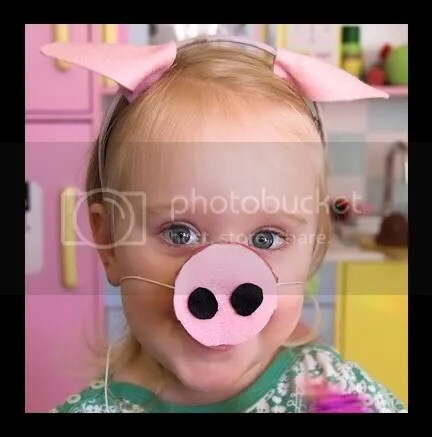 I love the piggy crafts. As for looking like a pig each day, I am having issues walking between desks in my room. What a great feeling! SO CUTE! Did you know that the same cats who wrote the music for Charlotte’s Web (’73) wrote the music for Marry Poppins, Chitty Chitty Bang Bang AND the Jungle Book? I love my piggy and piggy mommy.